Three-Stone Pear Shaped Diamond Engagement Ring in 14k Yellow Gold | Shane Co.
Two exquisite pear-shaped diamonds, at approximately .21 carat total weight, serve to accentuate the center diamond of your choice. 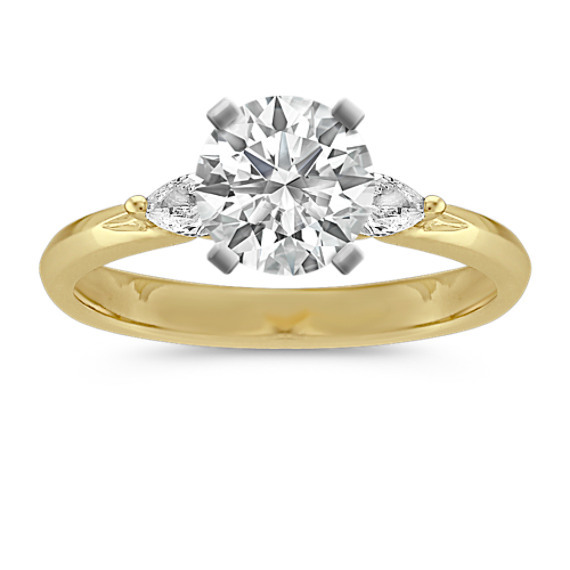 The setting is crafted from superior quality 14 karat yellow gold. A smooth, glossy finish gives this ring a sophisticated, polished look. Gemstone Carat Weight :.21 ct. t.w.